Consider This Classic: Jamie Recommends! 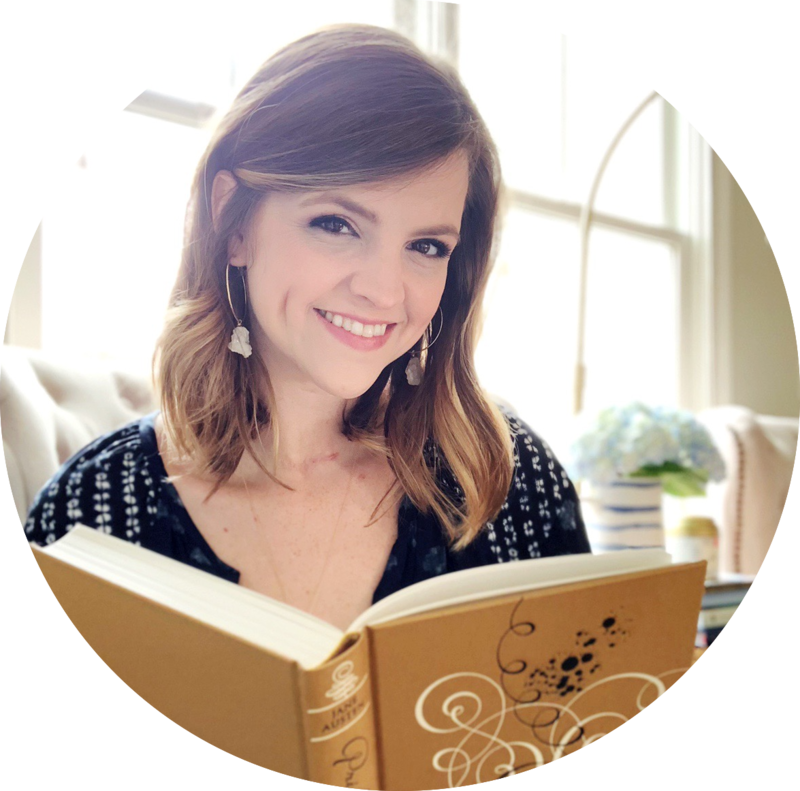 This month, I've got the lovely Jamie from The Perpetual Page-Turner here sharing her favorite classic. Jamie is a blogger I so respect and admire. She's always full of new ideas, thoughtful discussions, creative ideas and well-written reviews. I'm so happy she was willing to join in and offer her Classics recommendations! With these words, the reader is ushered into an isolated gray stone mansion on the windswept Cornish coast, as the second Mrs. Maxim de Winter recalls the chilling events that transpired as she began her new life as the young bride of a husband she barely knew. For in every corner of every room were phantoms of a time dead but not forgotten - a past devotedly preserved by the sinister housekeeper, Mrs. Danvers: a suite immaculate and untouched, clothing laid out and ready to be worn, but not by any of the great house's current occupants. With an eerie presentiment of evil tightening her heart, the second Mrs. de Winter walked in the shadow of her mysterious predecessor, determined to uncover the darkest secrets and shattering truths about Maxim's first wife - the late and hauntingly beautiful Rebecca. I read this book back in high school when it was an option on the summer reading list. Even though High School Jamie was going through an unfortunate phase in the history of my reading life which didn't include a lot of reading anymore, summer reading didn't bother me and I actually looked forward to it. I picked Rebecca because I thought it sounded creepy and mysterious which was totally up my alley. I distinctly remember this book being such a page-turner for me with all of the mystery, secrets and tension in the romance! Definitely some hold-your-breath kind of moments as the plot furthered and tension heightened. The writing was incredible and I could just FEEL like I was there at Manderley and the characters were given so much life -- especially Mrs. Danvers... that woman, MAN. It's so atmospheric and is the perfect book to curl up with on a rainy day. The setting drew me in and I could swear that I heard the wind blowing or feel a cold draft coming from the mansion. Rebecca's ghostly presence haunted me like it did the young narrator. The suspense and mystery is just so palpable and it's hard not to be absorbed in this one! I don't reread often but I reread this again in college and remembered how GOOD of a storyteller Daphne du Maurier is! Sidenote: I also highly recommend her other book My Cousin Rachel but Rebecca was my favorite! 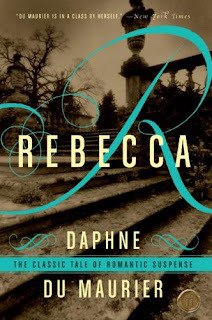 Rebecca is a Gothic romance and I love Gothic literature but have a hard time finding really great modern stuff I like. Classics wise, if you liked works like Jane Eyre and Wuthering Heights I'd say you'd like this one! (YA) Unspoken by Sarah Rees Brennan: I didn't end up finishing this one but the setting definitely gives off this vibe and SO many readers I trust LOVED it. I might try again later this year but it wasn't doing it for me when I started it but there wasn't anything specifically wrong with this book so I feel okay recommending it! (YA) A Great and Terrible Beauty by Libba Bray: A friend actually recommended this to me AFTER I had her read Rebecca so that bodes well. It still sits on my shelf unread but I am now thinking I want to pick up after getting to chat with you all about Rebecca! I love the review layout style too! May I ask what program you use to make the adorable little speech bubbles? I know - I'm so glad Jamie picked this one to highlight! YES! Rebecca is one of my favorite classics. I positively tore through it, finishing less than 24 hours after I started. While this is pretty much the norm for me with contemporary books, classics usually take a few more days, since they tend to be longer and more complex. But I was positively addicted! I love all the reasons you listed! I may need to re-read this one soon. Classics usually take me longer, too, but I was just like you on this one! I FLEW through it and couldn't put it down. After reading Jamie's summary I realized that I'm totally due for a re-read of this one sometime soon! I def think this is a good "gateway" classic for people because it DOES read so fast! YAY love seeing the love for this book! Thanks, Hazel! I love collecting classics, too. I used to be better at reading them, but my focus has definitely shifted to newer and shinier books since I started blogging. 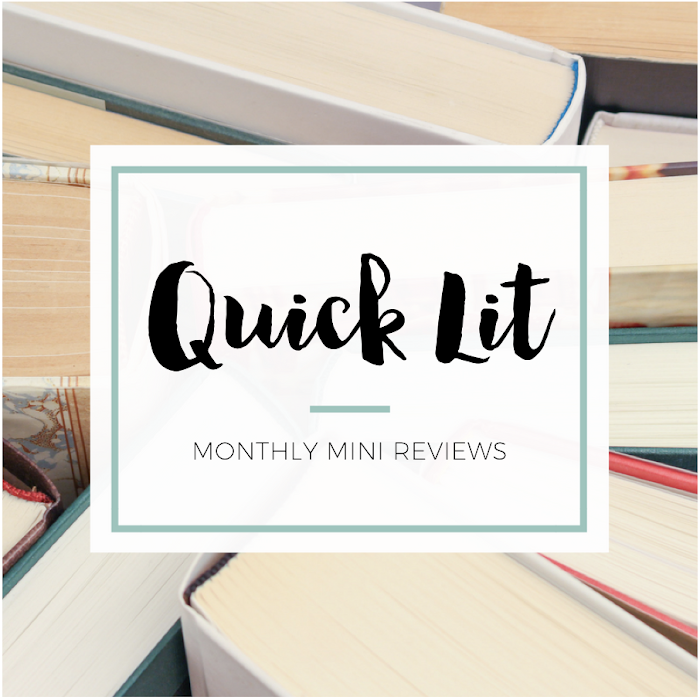 I wanted to do this feature to help highlight some books that you wouldn't likely hear about in the blogging world. Hope you enjoy if you end up reading it! I totally agree with Jamie - it's addicting and a fantastic read! Eeee I hope you get to it soon! Oh yeah, Rebecca is amazing! I read it when I was in 8th grade I think, or maybe 9th, but not for school. I love the haunting feel it gives. Rebecca often gives me a similar feeling that Jane Eyre did. I feel like those books go really well together. I read it in 8th or 9th grade, too, and I always wondered if I properly thanked my teacher for putting this on the summer reading options list. I'm SO glad I read it! And I agree with you - Jane Eyre would also work really well paired with this one. They both have that dark, haunting mood. I hope you enjoy the recommendations! I KNOW! I totally agree. It's such a gripping read - the setting, the characters, the mood. Totally a standout classic, for sure! SO agree! Very intense book! I'm dying for a reread now.